Robots in science fiction often serve to remind us of what we're not: nuts and bolts versus blood and guts; unflinching steel versus frail flesh. But one videogame robot's story is more personal than those of his human companions: Chrono Trigger's Robo. Brendan Main examines what makes Robo more than just another mechanical sidekick. it was deep, and the point you were bringing was brought! Robo(excuse me for not using is real name)was one of my favorite characters because he had a will and mind of his own. his sacrafice through the game made him special to me. and even though he lead a hard life, he was happy at the end. And the part where he gave away his "heart" really showed that even though he dosent have a spirit he did gain a soul. These are the kind of things that prove Roger Ebert wrong: Games are indeed art. Chrono Trigger was a good game, and Robo was my fav character. "Robo's altruism raises a question of ethics. Left to its programming, a robot is liberated from the ambiguity of free will; it simply does as it is designed to do. Even Isaac Asimov's famous laws, which dictate whom a robot can or cannot harm, serve to defer morality. Hardwired according to these restrictions, a robot may be civil, but it cannot be kind." I'm not sure how the author jumps from 1. Asimov's 3 laws/programming == can do no evil (ish) to 2. cannot truly mean to do good. I mean, if you analogize the three laws into... say really effective policemen (ala minority report) who gently stop you before you do anything 'evil' does it really follow that you do not have the capability to sincerely be good? but this was a great article. I caught a glimmer of the idea of robots as distillations of the myriad aspects of humanity and Robo himself bridging that sort of final gap between the form and context of man and the proverbial inner fire of the human soul. And that was amazing. Amazing article, and it reminded me why Chrono Trigger is my favorite RPG of all time. And this coming from a guy who hates all the other JRPGs he's tried. Yeah, great article. I need to replay CT one of these days, it's made of awesome and sylicon. Fascinating and... honestly moving article. I have to admit, though, that theme never really crossed my mind while I was playing it. Not consciously, anyway. Right now, I can say "I agree" because there might have been some sort of FEELING there - a sort of underlying theme. To me, at least, the assertion requires a programmer's perspective. A robotic intelligence still needs definition - it's a blank slate. If it's not told what anything is, nothing exists. From basic directions to complex morality, a robot at the beginning knows absolutely nil. If it's not told what is moral and what is not, it can't make a decision. With that assumption, Robo's actions and dialogue can perhaps be seen as transcending that utter lack of definition. From basic directions to complex morality, a robot at the beginning knows absolutely nil. If it's not told what is moral and what is not, it can't make a decision. Sooo... we're not assuming said robot has sentience stemming from artificial intelligence? If the author was talking from a programmer's perspective of a procedural program then his reasoning is more that the robot isn't sentient and is thus devoid of the capacity for morality, but i don't think that's what he's getting at. His examples of Robo, Hal, etc... are robots who are beings who are self-aware: they have some sort of consciousness/sentience. We aren't talking about objects whose every action is programmed in (complete with unintentional bugs). The thing with Asimov's positronic brain robots was that they had artificial intelligence in the sense that not everything was straight up programmed into the robots. These robots had the 3 laws as constraints on what they could do, if I were looking at this from your "programmer's" perspective then they wouldn't need the three laws because they'd be limited to only actions programmed into them. If the author was positing that without some existence of free-will there can be no true goodness then I agree. However it came out for me (and this is why I objected) as even if you had a sentient being with a consciousness, if you had a limitation on your capacity for evil hardwired into your context you were unable to be good/truly do good. That was a brilliant article. Really makes one think. And now I want to get Chrono Trigger. it sounds like a fantastic game. Good article. Exactly the kind of awesome geeky stuff that I can't find anywhere else. This is a great article. Really. Robo is my favorite character (after Chrono, sorry). That part where he's beaten up by his brothers is a sad one. You can just stand there and feel powerless while he tries to chat with his companions. It felt so good to beat their asses later. Back then, when I played CT, I was kinda young so I probably didn't get most of the menssages but they're all touching none the less. Reading this article made me remember how awesome and deep a game can be. Thanks! One of the best escapist articles I've ever read, I'm going to have to get my hands on Chrono Trigger and give it a whirl. Woah! Deep article. Makes me rethink the story of Crono Trigger and also make me want to go back and play it again, even though I got every DS ending. You must have spent a lot of time analysing everything and be a true fan of the game... I'm jealous. Hope you do more articles like this in the future. get it... NOW... why are you still here? GET IT! Aww, man. I can believe I missed such an interesting plot. I just had to go for the party filled with hot chicks, huh? Beautiful article. Absolutely loved the last sentence. I would. But I don't have a clue where to start looking for it. so It's going on one of those mental 'Buy if seen' lists. I'm not here to debate the reality of mecha...so I won't. I'd just like to add in a QI kind of way that another reason for Japanese liking of robots can be traced thorugh their religious practices. Since basically any object can/is in possession of a kami (a spirit) that means that even a robot has feelings and soul in a much different sense from what we Westerners are used to. This argument goes over into the "electric-soul" article as well, where I think that Robo as a chrono-trigger character held a much different meaning to the Japanese audience. More in the lines of ones devotion to ones own "place in the world" and the rebellion against such. As well as the concept of allegiance, a very hot-topic in many Japanese tales and modern mangas. Darnit. I need to buy Chrono Trigger DS. I've played part of the game, about up to where you get the spaceship thing, but I had to stop. This article reminds me that I need this game really bad. Also, the fact that Robo is a machine, but tends to plant life with great care moves past poetic-irony to a commentary on mankind's relationship & connection to nature. Amazing article Brendan. Chrono Trigger DS just jumped a few spots on my wishlist! a truly great article. kudos man. and now if you'll excuse me, i'm going to go play CT.
Great article! I love CT and have played it tons of times, but never even thought about it like this. However, the article resonates with all those feelings I've had playing it but never read into. Great article. Takes me way back :-). I would like to use Reverend Gregory House to emphasize a point: Would you say that, because House cures people (thereby helping them and doing something good), that he is kind? Not exactly, right? And although a machine can be programmed to do no evil, thus making it a good or at least a neutral "being", it doesn't (automatically) mean that it is kind, because usually someone (or something) is be called kind if they do good out of choice, a personal conviction and/or personal crusade to help and to be both kind and good to people and things. Maybe all those clowns out there that thing Chrono Trigger has a bad story can read this and see it's story lies in it's characters, such as Robo. Again, truly amazing job, sir. Robo is one of the many reasons that I find Chronotrigger so compelling a game. For me one of the really heart wrenching moments is when after the defeat of Lavos he goes to step through the portal to his time period and Luca tries to stop him. She knows that the future is being re-written and most likely that he will cease to be but Robo quite gently tells her that the future will have a place for him. A beautiful moment where a robot, shows faith. A very spiritual moment for an artificial person. I really loved this article, thank you for writing it. 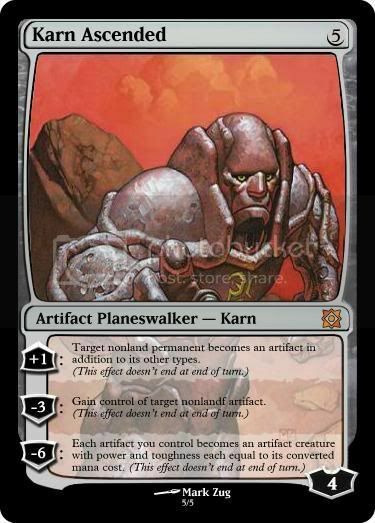 A similar character exists in the Magic: The Gathering realm by the name of Karn. He ends up creating his own planet/universe (Mirrodin). He is easily my favorite character in the entire series from the very first book to the latest Zendikar series. You'll notice none of his abilities are attacks :). He is a passifist which is tied humorously with the fact that if he ever DID start fighting, the conflict would be over because he'd just utterly destroy anything around him (being a massive walking wall of metal basically). He is just so damn loveable. At any rate. It is always nice to read a story about robots that isn't dragging the painfully old cliche of Terminator through the mud. If a quantum event happened where 'that' ceased to exist I think every new robotics story would be the better for it :P.
Oh Robo, you magnificent mechanical manifestation of tragedy! I'm glad you got your very own article at last! OT: Nicely done... Now I need to play CT again. Great article. You could probably make one of these character studies for every CT party member except Chrono himself- the plot is just that good- but Robo is one of my favourites. Instead of a perilous escapade that may end with erasing himself, he becomes a legendary hero and martyr in the past along with Fiona. And he's had 400 years to ponder why it is that time gates began increasing in number.